Barry Kuretzky | Littler Mendelson P.C. 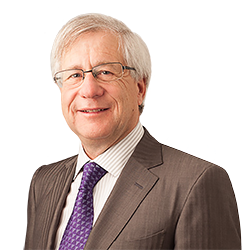 Barry Kuretzky focuses his practice in employment and labour law, and represents many of Canada’s largest companies. He regularly advises and represents clients at all stages of the employment relationship, from hiring to termination. His practice includes wrongful dismissal litigation, unjust dismissals pursuant to the Canada Labour Code, employment standards adjudications, human rights, including disability and accommodation matters, sexual harassment, general harassment, breach of fiduciary duty, workers' compensation, workplace health and safety, injunctions restraining competition and information distribution, wrongful hiring, negligent misrepresentation in the employment context, employment issues related to the sale or restructuring of businesses, and the negotiation and drafting of employment contracts and workplace policies. Barry practices all aspects of labour relations law, including collective bargaining, union organizing drives, certification and decertification of unions, grievances and arbitrations involving all aspects of the Ontario Labour Relations Act, British Columbia Labour Relations Code and the Canada Labour Code. Formerly a senior partner at Kuretzky Vassos Henderson, Barry has practiced law for 37 years.